Dr. Ervi Liusman joined the School of Hotel and Tourism Management (SHTM) of The Chinese University of Hong Kong (CUHK) as a Lecturer in 2014. Prior to that, she was a Senior Research Assistant and a Post-doctoral Fellow at Department of Real Estate and Construction of the University of Hong Kong (HKU) from 2010 to 2014. 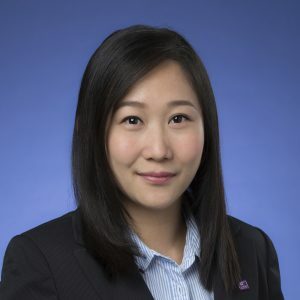 Prior to joining academia, she was a Research Analyst at JLL Hong Kong from 2007 to 2010, in charge of Hong Kong residential and retail market analysis. Dr. Liusman obtained her BEng in Real Estate from Tarumanagara University, and MSc in Real Estate and PhD from HKU. She currently teaches Hospitality Real Estate, Real Estate Market Studies, and Shopping Mall Investment and Management. Despite teaching, she is interested in undertaking real estate related research, such as shopping mall management, office market and agglomeration economics, land supply and housing market, performance of property management companies, sustainable urban renewal, and sustainable built heritage.